Update: Sold out again, you can take a look at in stock tracker here. Hot ! 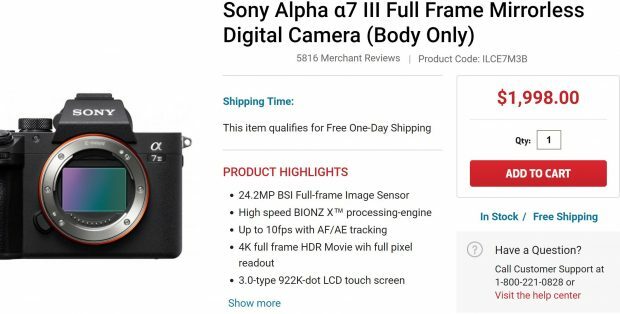 Sony a7 III Body now back in stock at Focus Camera. Order ASAP before sold out again. How many are they getting of these cameras? Two at a time? They sell out like an hour after they are supposedly available again. Ridiculous. Previous Previous post: First Leaked Image of Sony FE 24mm f/1.4 GM Lens ?